What is the best Canon camera for you? What is Canon's Best DSLR and Mirrorless Camera? While I directly answered the question with the list above, the truth is that there is no single "best" or "ultimate" camera for everyone and many photographers need more than one model. Different needs can best be accommodated by different cameras, even if the budget is unlimited. Canon makes a wide range of camera models and each has a niche – each is the best for certain photographers and scenarios. For example, the best camera for sports will have a very fast frame rate, allowing a precise moment in time to be captured. However, a fast frame rate is typically a far lower concern for landscape photographers. While sports photographers might appreciate the extremely high resolution images highly sought by landscape photographers, few are willing to give up the fast frame rate to get that feature. Price is frequently a factor for consideration with size and weight being other common camera buying factors. The entire list of camera specifications is huge and we provide a tool to help you compare cameras using this objective information. This info is certainly good and valuable differentiators exist there, but there is much more to the story. Just because one camera's specs are better than another does not mean that it is the better camera, especially not necessarily the better camera for you as there is more to the decision process than is revealed in the specs. Experience is often very helpful in differentiation and our in-depth reviews tell the full story. However, reading all of them requires a lot of time. Thus, the relevant Canon camera recommendations featured here are intended to greatly accelerate your decision-making process. The recommendations below are designed to point you to the short list of cameras that are best for your needs. At the end of this page, I'll give my reasons for the above list of answers to the broad overall question. I promised to give my reasons for the above list of answers to the broad overall question. But first, I'll answer another relevant question. 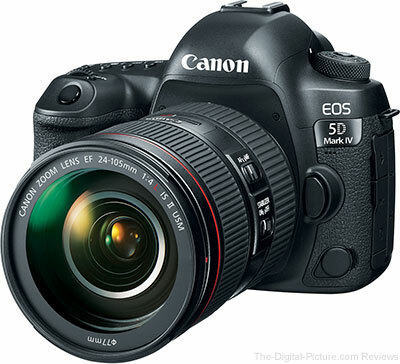 Why Choose a Canon Brand DSLR or Mirrorless Interchangeable Lens Camera? Canon cameras are renowned for their impressive image quality with color rendering being an especially great aspect. Canon cameras are very easy to use and have a great menu structure. Canon cameras have excellent ergonomics, making them comfortable to use even for long durations of time. Canon has a very wide range of camera models available and even the lowest-end models are very feature-filled. Most of Canon's cameras are on a high model number iteration, bringing great maturity to most models. The bugs have long been worked out. Canon has the most incredible range of lenses (extremely important), flashes and other accessories available. Canon (USA minimally) has very impressive customer service, ready to promptly answer questions. My Canon repair service experience has been similarly high (again referring the USA experience). Although Canon photography gear seldom needs repaired, things happen. Cameras get dropped, drinks get spilled, etc. Knowing that I can have a camera back in service quickly is important. I have been using Canon brand cameras as my primary models since the very early days of digital photography. I also own high end Nikon and Sony cameras and they are also great, with each having advantages of their own, but none has made me want to switch from my primary Canon kit. When you need the fastest, most rugged, most dependable and most feature-filled camera Canon makes, this is the one you want. 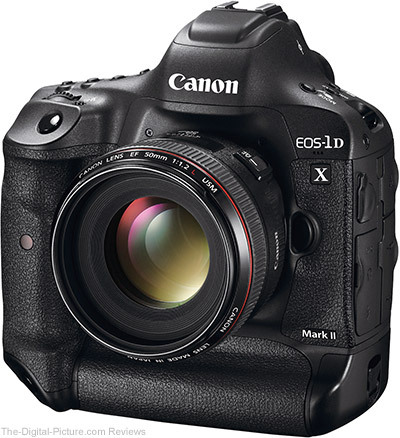 The 1D X II is frequently the first choice for those capturing the action at the Olympics, the Super Bowl and (put any other major event here). This camera is not small, light or inexpensive, but when getting the image matters greatly, this is most often the chosen model. Just using this camera will put a smile on your face. If there is action involved, this is the camera in my hands. 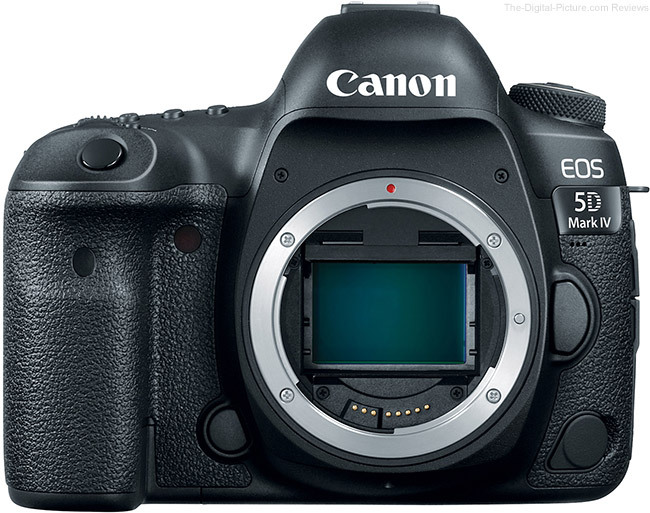 As I write this, only the EOS 5Ds and 5Ds R have a resolution advantage over the 5D IV within the Canon lineup. Canon's original 5-series cameras, initially bringing us an affordable full frame body and later disrupting the video-quality:price ratio, were huge hits. The 5D Mark IV builds on those initial qualities and brings many incredible new ones including Dual Pixel CMOS AF (including Video Servo AF) and 4k video. Don't worry, still photographers have plenty to drool over with this camera including excellent dynamic range, a solid frame rate, very high resolution and of course, the awesome Canon color you love. 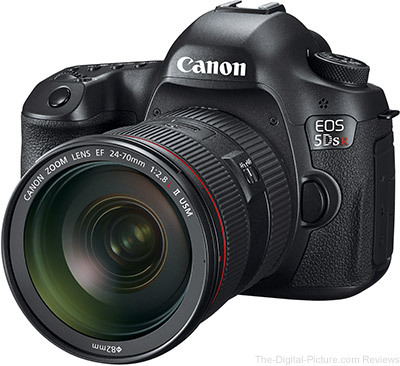 The 5Ds R does not match the EOS-1 Series cameras or the 5D Mark IV in terms of performance, but it is not far behind in most aspects and has a huge advantage. This camera delivers amazing 50 MP images that, with an optical low pass filter effect cancellation technology in use, are extremely sharp. While this camera does not have the frame rate that some others have, no other DSLR or MILC at this time can touch the resolution this one delivers. This is my first choice daily-use and lens testing camera. If there is no action involved, this is the camera in my hands. One of our 5Ds Rs lives in the lab and the other two are usually on the desk beside me if not in my hands, on my back or on my tripod. If you are concerned about moiré, the Canon EOS 5Ds is the same camera without the optical low pass filter effect cancellation technology.